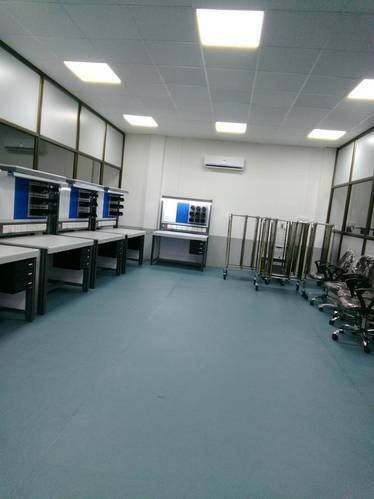 Leading Manufacturer of esd workstations, esd aprons, esd brushes, static dissipative shoes, esd slippers and esd stool from Pune. 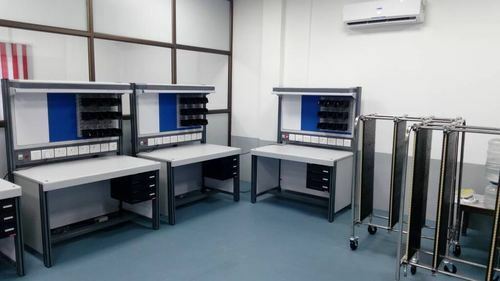 ESD Safe Work Station offered to find extensive use in the electronic manufacturing sector where these provide support in safeguarding sensitive electronic components from harmful static discharges. For safe working, the workstation is provided with proper grounding that allows superior dissipation of discharge safely. 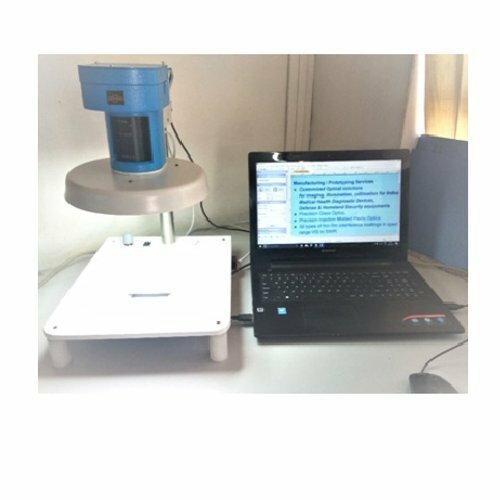 Some of its features include featuring the use of static dissipative table top made of special ESD, available in different size options, coming with illumination support for work area and others. 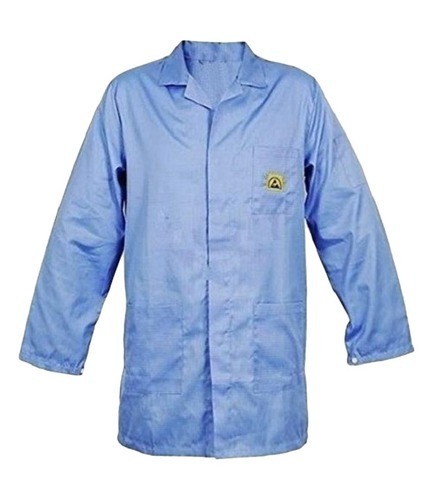 Our company is highly esteemed in offering ESD Apron to the clients. ESD Apron is well designed at a sophisticated production unit by making use of quality approved material by qualified professionals. This product is tested on finishing and quality parameters under the supervision of quality analysts and is widely appreciated by the clients. We are engaged in trading and supplying an extensive range of ESD Brushes which are procured from trustworthy vendors of the market in line with industry standards. The provided brushes are quality tested against various parameters in order to ensure their quality. 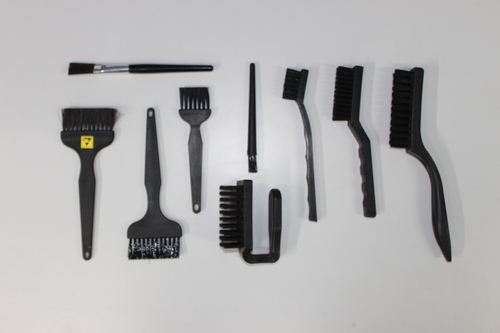 Our offered brushes are available in various sizes and designs to suit the varied needs of our clients. Moreover, we offer these brushes to our clients at nominal prices. 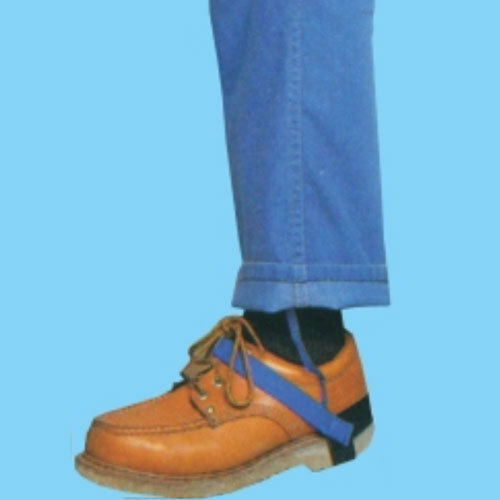 Among all leading companies engaged in supplying a huge range of ESD Control Products which includes Static Shoe Strap for both male and female. 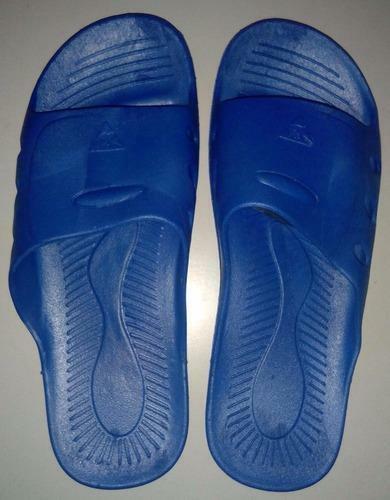 With enriched industrial experience and knowledge, we are trading with a wide assortment of ESD Slipper. Used to drain out human body static electricity to ground. Features Heavy-duty, fire retardant vinyl upholstery. 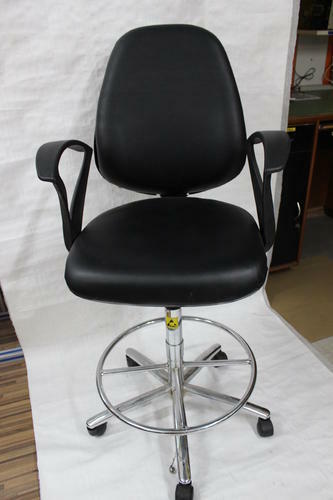 Our company has achieved widespread recognition in offering ESD Stool to the clients. This product is manufactured by seasoned professionals using quality-approved material and progressive techniques in tandem with defined standards. 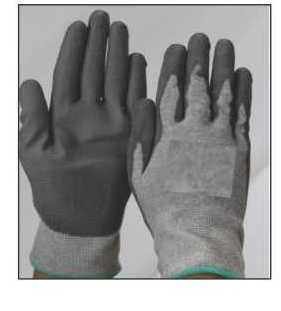 ESD Palm Coated Gloves is considered one of the most demanded products that we are offering in bulk as per the requirements of our customers. These gloves are finally procured from the reliable dealers of the industry and are highly appreciated in the market all over the country. These gloves are finely coated and finally finished that makes them more popular. All these items are obtainable at reasonable rates. ESD PVC Dotted Strips offered are developed using 100% polyester material with conductive fiber 5mm strip that has the surface resistivity of 106 - 109 Ω and comes with optimum antistatic properties. 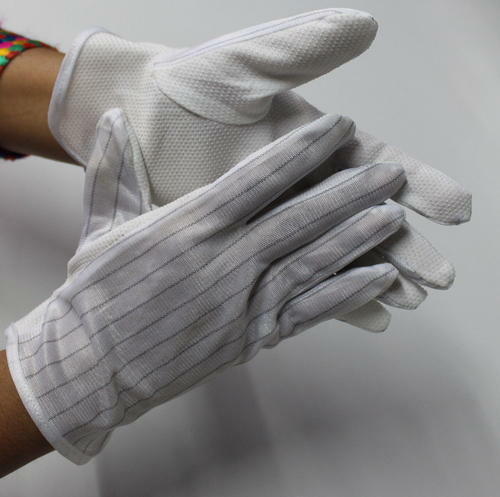 These dotted strips fit use on ESD gloves where these meet all defined criteria of superior ESD functioning. 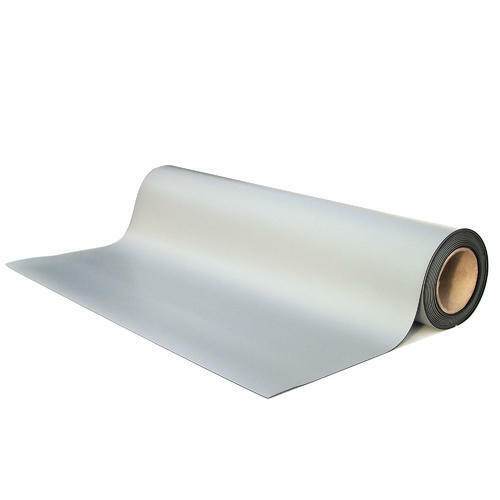 The product finds extensive use in industry sectors like electronic, photoelectric, optics, semiconductor industry where it helps in preventing products from getting damaged by static energy generated by workers. 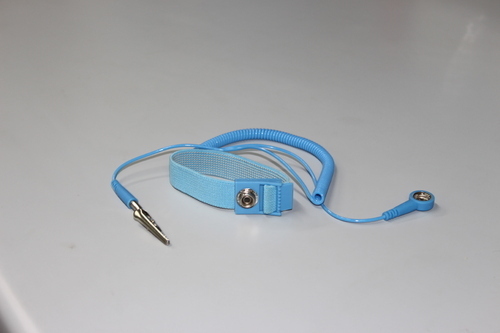 ESD Heal Strap offered finds use in safely grounding factory personnel working on sensitive electronic equipment. The benefit of these heal straps comes in form of preventing a buildup of static electricity on a body that can result in the electrostatic discharge which in turn can damage costly sensitive electronic components. Some of its features include provide adequate safety against electrostatic charge build up, safe to use, comes with built in current limiting 1 M OHM resistor that provides for adequate personnel safety among others. 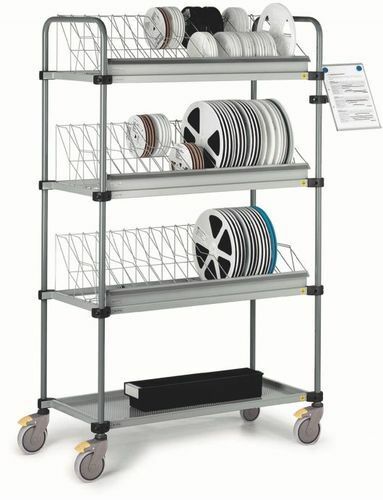 Adjustable trolley designed for the safe storage & transportation of SMD Reels & assemblies within the shop floor. Frame is Semi conductive epoxy powder coated, gap between shelves is adjustable, conductive lockable castor wheels for easy movement. Top Illumination Provided by CFL ring light. We have various qualities of ESD Fabric available. 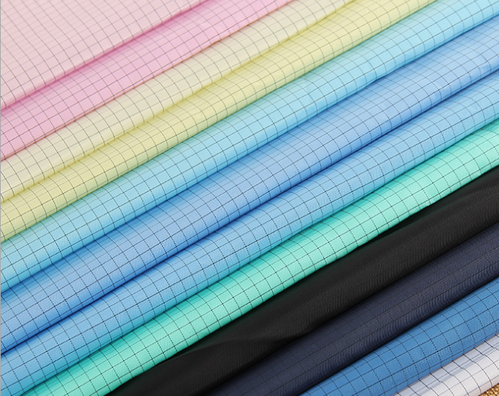 We have polyester ESD fabric as well as cotton ESD fabric. We have fabric of carbon % from 1 to 7. these are used to make ESD garments. These are very soft and comfortable to wear. In industries related to electrical and electronic equipment, static discharge can ignite flammables and interfere with the manufacturing. This can further cause major damage to sensitive electronics. 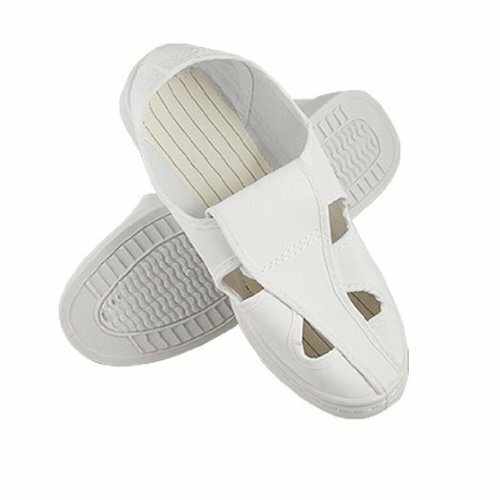 For this, we bring forth excellent quality ESD Shoes that are designed with excellent prevention against strong, uncontrolled electrostatic charges. 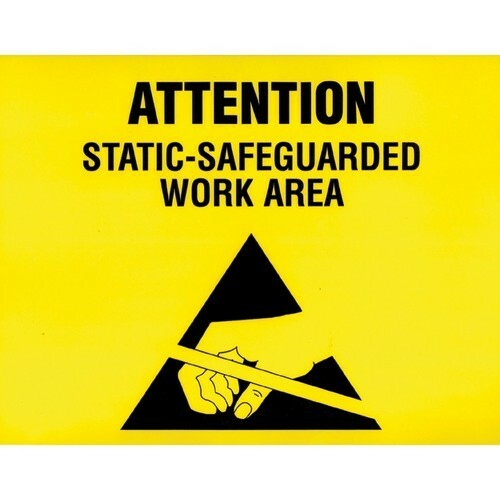 Protect sensitive equipment in the workplace. ESD Grounding Cords offered comprise ESD common point ground cord for ESD mats and are required for setting up proper ESD workstation layout. The cords comprise standard finish involving two banana jacks, snap and Meg resistor and other support components. Further, the cords are developed from durable vinyl and are offered in standard length choices. 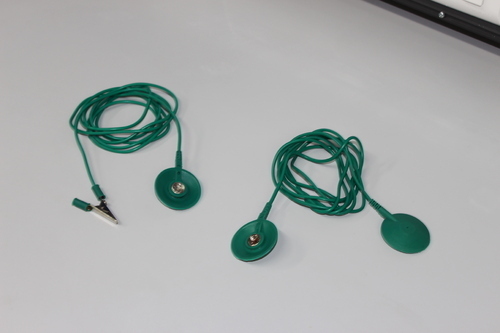 These ground cords provide easy and convenient attaching to ESD snap sockets that come placed into ESD Mat. SD Wrist Bands is specially designed for use as a safety device in the electronic and electrical industry where sensitive equipment is used. This band is used for protecting the workers and sensitive equipment from electrostatic discharge. This band works by channeling static electricity to a proper ground. It is wisely designed using fine conductive fibers, made of carbon or carbon-filled rubber with a stainless steel clasp or plate. 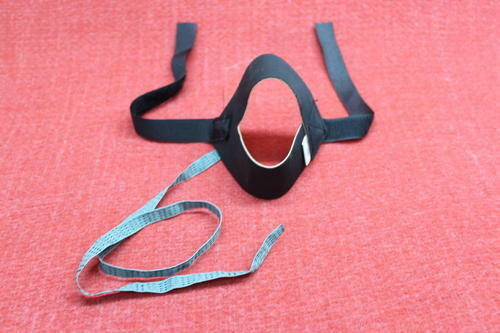 Useful in an operating theater, where oxygen or explosive anesthetic gasses are used. Protect the microcircuit and other precise electronic elements in the environment. Finger cot features cost-effective and convenient for protection. 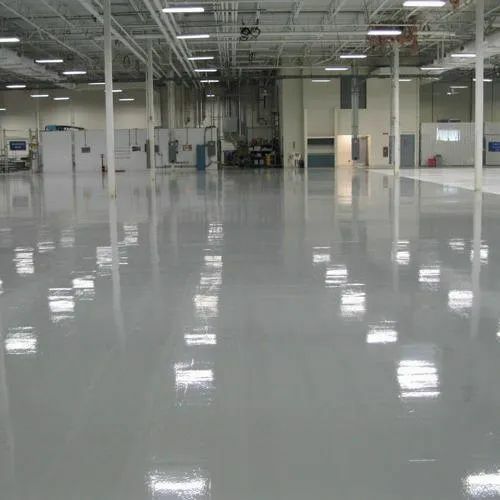 Since it is made of latex, it can perfectly remove static, additionally, it doesn’t apply the coating which can be removed and therefore, it can exert outstanding effect even not in the damp environment. Finger cot doesn’t contain materials which may possibly filter when working; therefore, it won’t pollute your precise elements. Finger cot has no holes, water bubbles, obvious spots or dust. 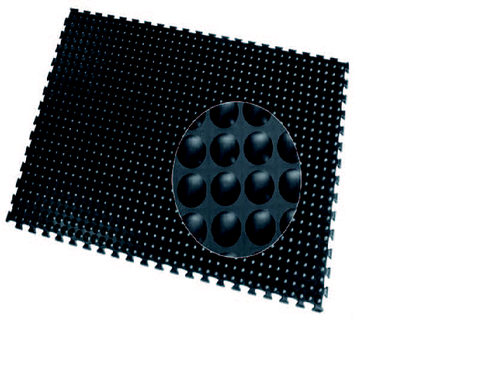 Sticky Mats are designed in order to keep dust, dirt, and other particulates from spreading in the clean room. It is widely used in the sanitary-sensitive area in order to keep it free and clear of foreign substances, thereby improving indoor air quality. 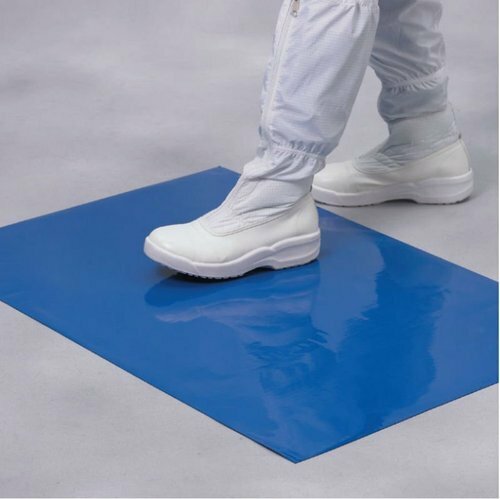 These mats feature a tacky surface that is specially processed to pull dirt and debris off shoe soles before they can contaminate a clean room. As the wheels or foot traffic pass over the mat, its non-transferring adhesive locks onto the dirt and effectively captures it. 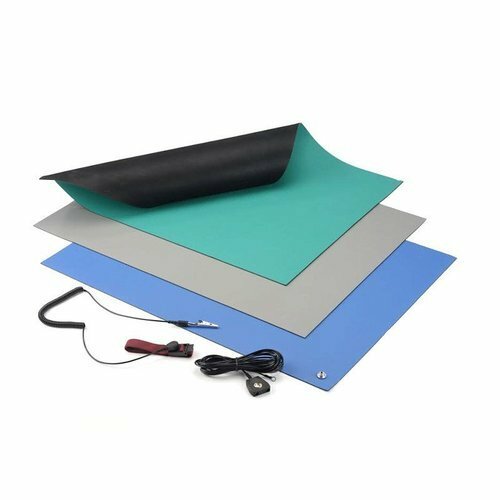 Designed with multi layers of adhesive-coated film, this mat is available in a variety of sizes. We are engaged in offering high-quality ESD Tweezer. The offered tweezer is manufactured at our vendors end using world class raw material and latest technology under the supervision of highly skilled professionals. 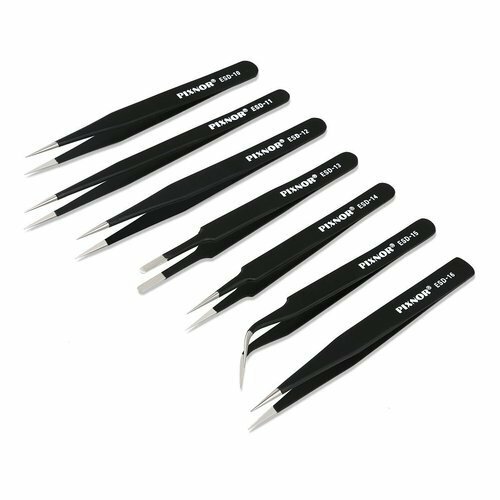 This tweezer is applicable in various industries for repairing and assembling electronic components. Our offered tweezer can also be customized in order to fulfill the wide demands of the clients. ESD Tiles offered is designed to provide the necessary safeguard from static electricity that can be a major problem area in the electronic manufacturing environment. Here, these flooring tiles provide effective support in draining of electrostatic charge. 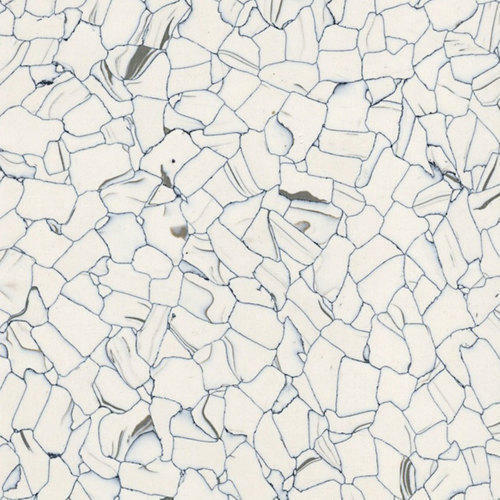 Some of its features include superior dimensional stability and compressive strength, available with the static conductive range of <1.0E06, provides for the clean appearance, has superior wear resistance, usage suitability in areas like clean rooms, electronic manufacturing, repair facilities and others. 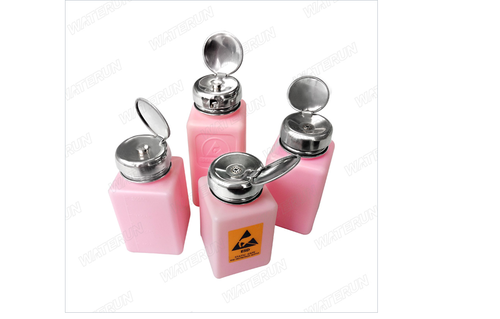 ESD IPA Dispenser offered comprise antistatic dissipative ESD safe solvent dispenser bottles that are static free and come with average surface resistivity as required in the process. Providing for quick dissipation of static charge, these dispensers can be made available by us in different volume capacities to safely store solvents like alcohol based chemicals and others. Surface Resistivity: 108 – 1010 ohms / sq. Decay Time: Less than 2 seconds. Offers above average resistance from mild and diluted acids alkalis. The surface has to be cleaned immediately is case concentrated acid or alkalis spill. Ensure sub floors are smooth, dry, clean structurally sound. We recommend FEVICOL SR 998 / SR 505 or any equivalent rubber based adhesive for laying. For clean room conditions, Thermo Welding is recommended. The surface should be cleaned daily with the damp mop and weekly or fortnightly with Antistatic Floor Cleaners. To remove stubborn stains rub the affected area with coir brush or fine steel wool NO.000 soaked in warm soap solution. Use water to remove chemical spillage on the flooring. Do not throw lighted butts or match sticks on the floor. Avoid dragging heavy furniture or objects so as to avoid scratches on the floor.